The commercial real estate market is hot in a lot of areas. With all of the changes going on, some people are looking to sell their commercial land. Commercial property is valued differently than residential property for a number of reasons. Not only does it have a different tax structure, but it is also less time-intensive to maintain. Sometimes, it takes a while for commercial property to sell. This is in stark contrast to residential property that is selling within hours of hitting the market in many areas. There are so few homes available that many buyers are jumping at any chance to get a home in their area. 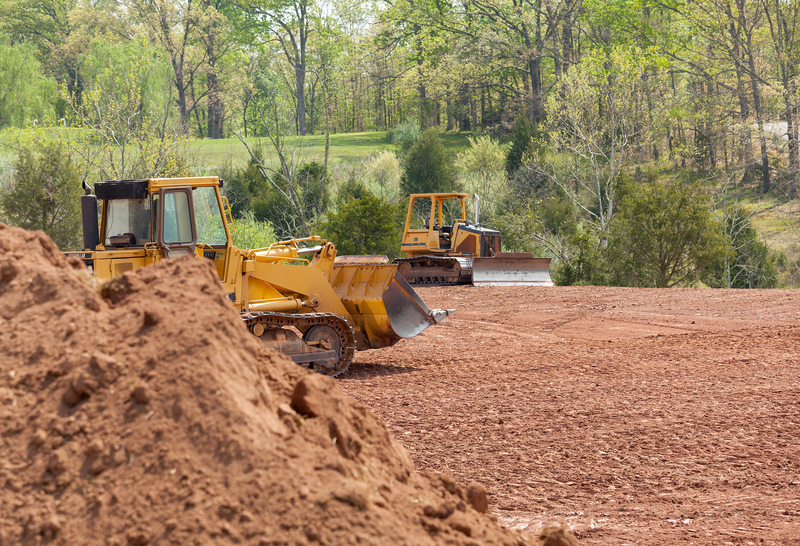 Clearing commercial land can help it sell faster and for more money, and here are several reasons why. “When you clear land, potential buyers have more visibility to the land itself,” said Moore’s Tree Service. This is a vital factor when going to check out a property. Although the new technology online allows people a lot more leverage when it comes to viewing property, commercial property is still something that you want to see in person. If the property is far away from roads or other people, it is going to be a difficult piece of land to sell. A lot of people today want to sell their commercial property because the real estate market is so high. Adding more visibility to the property for buyers is a great way to get more out of your property. When you clear and clean your commercial property, buyers will recognize that there will be a lot less maintenance and cleaning for them to do. This is a huge factor when it comes to buying any type of property. No one wants to buy a property and then have issues later on with cleaning it up. Over time, making your property as friendly as possible is a factor in how fast your property is going to sell. When you make the process easier on buyers, they will typically pay more for the property as well. That is why so many people are excited about working with sellers who understand their needs in this area. Commercial real estate is all about the numbers. There are a lot of people who love to go around and look at residential real estate because they enjoy houses. The same is not true in the commercial real estate market. It does not matter nearly as much how nice a building looks as it does whether the actual location is a good one. However, appearances still matter somewhat. Getting the property in the best shape possible is always a good idea. With all of the financing that has to go into a commercial property, making things easier on the buyer is important. Commercial real estate financing is different than typical residential financing in a lot of ways. Not only are the interest rates different, but you also have to deal with more collateral for the loan as well. Over time, this is one of the most important parts of having success in business. A lot of business owners struggle with borrowing too much money and paying it back over time. If you are ready to sell your commercial property for top dollar, cleaning the land is a great way to do that. Buyers want to purchase a property that is ready to build on in this market. Commercial real estate typically takes longer to sell than residential property, so you need to make sure you have a plan in place to take your property to a new level when putting it on the market. Any time or money you spend on this process will pay itself back when the property sells quickly.